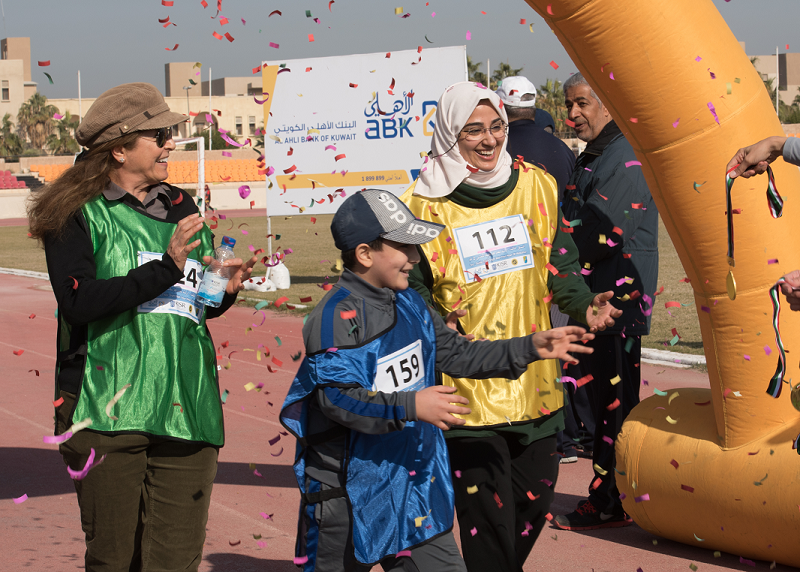 In celebration of ‘World Braille Day’, Al Ahli Bank of Kuwait (ABK) sponsored the ‘Guide Their Sight with Your Heart’ Walkathon which was organized by the Kuwait Institute for Scientific Research (KISR). The event took place on Saturday 7 January 2017, at the Kuwait University Stadium, Shuwaikh Campus. 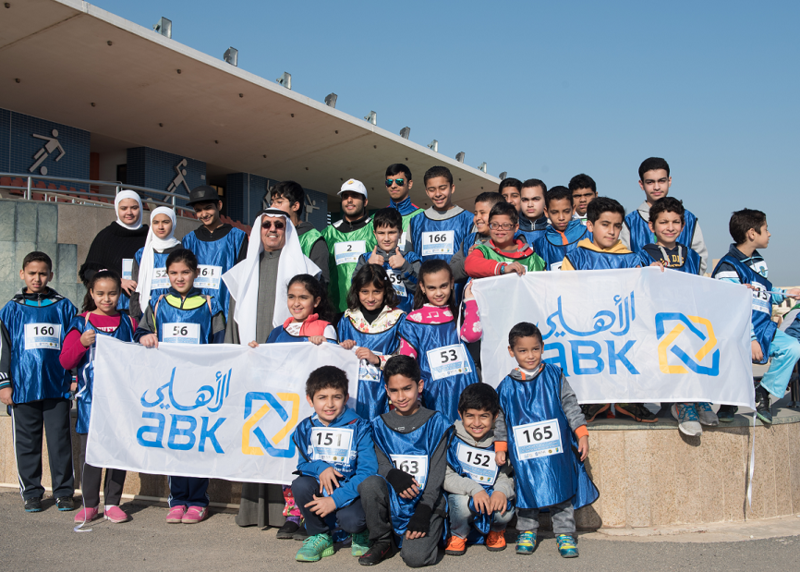 Under the patronage of Dr. Samira A.S. Omar - Director General of KISR, hundreds of participants, amongst which were ABK’s employees, walked the 2 kilometer distance to raise awareness on the daily challenges faced by the visually impaired individuals in Kuwait and beyond. In appreciation of ABK’s efforts and sponsorship, Mr. Fawzy Al Thunayan – GM Board Affairs at ABK was presented with a trophy from the KISR team honoring their long-standing commitment to supporting people with special needs. World Braille Day is annually celebrated on January 4, the birthday of Braille inventor, Louis Braille. The day recognizes the contributions of Louis Braille in helping blind and visually impaired people to read and write. Non-governmental organizations (NGOs) around the world use this day to create awareness about the challenges faced by visually impaired individuals and to encourage businesses and governments to create economic and social opportunities for the blind. ABK continues to showcase its commitment to working with the community, particularly in supporting programs which assist people with special needs. The Bank is keen to encourage the overall well-being of the community and especially to champion the needs of those who need extra help.